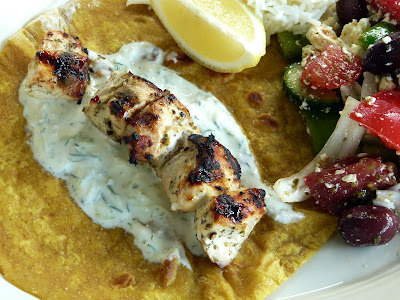 on another the blog - Souvlaki For The Soul. This is a wonderful food and travel blog with recipes and amazing photos. 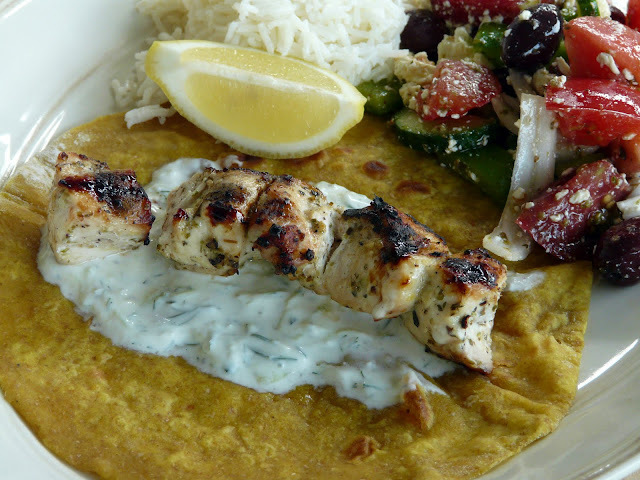 After reading the recipe for the flatbread, which I believe was adapted from a Jamie Oliver recipe I decided to make it for dinner and serve it with chicken souvlaki. Jamie's recipe is a yeast based flatbread but Peter's adaptation is more like a Indian Chapati. The bread was a big hit with Moe. Definitely a keeper. Other sides - Rice, Greek Salad and Tzatziki sauce. Note: This recipe can be cut in half, by using just one cup of all-purpose flour, and reducing other ingredients by half. Place the flours and spices in the bowl of a food processor. Love this twist on a favourite, and I have enjoyed Peters blog and photography for years. This looks amazing. I like the idea of the chickpea flatbread. It would be a very satisfying meal! As always this looks delicious Ann! 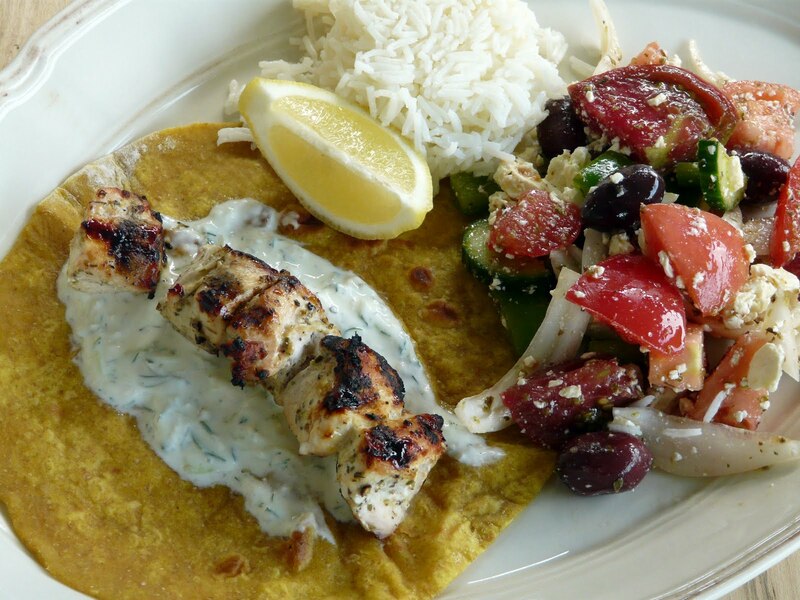 I love the idea of the chickpea flatbread...it looks wonderful! Bellini, Peter's blog is new to me. Glad I found him. Thanks Lyndsey. Thanks Linda. The chickpeas really were a nice addition. Barbara, thanks for visiting my blog.